Summer is finally here! 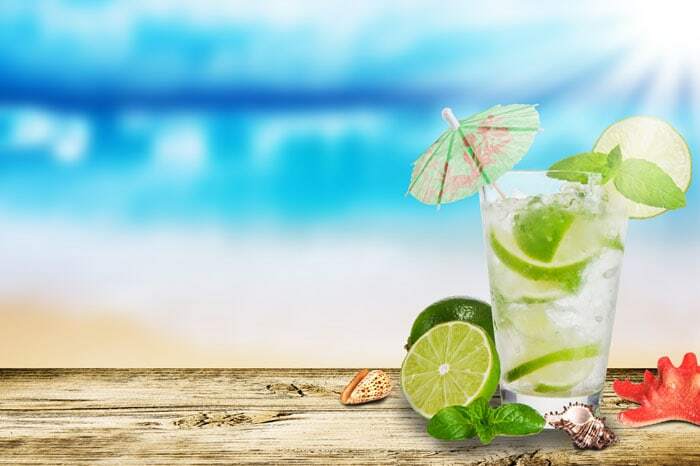 Enjoy the return of the warmer months by trying these summer drinks that can fit right in with your diabetes meal plan and keep your taste buds happy. Whether you have a sweet tooth or crave something light and refreshing, you are sure to find a good fit. There are no calories or carbohydrates in water. So drink as much water as you like. You get tired of drinking plain water? Try flavored or sparkling waters that are far from plain; check the labels to find one that is diabetes friendly (low-calorie or calorie-free is best). Add lemon or lime along with your favorite sweetener to an ice-cold glass of water. Or, for “greener” taste buds, add lavender or mint with ginger to crushed ice and water. Snapple Tea Drinks: Snapple has a “Lightly Sweetened” line that has lower sugar and made without artificial sweeteners. True Citrus Mix: True Citrus is the only water mix we reviewed that contains no artificial sweeteners. Check out my post on other flavored water mixes. Gatorade Natural: light refreshing taste that’s perfect after a long summer run or hike. G-Natural provides 50 calories per 8 ounces, about one carb/serving. G2-Natural provides 20 calories per 8 oz. Tropicana 50: now available in a “light ‘n’ healthy” version with only 50 calories per 8 ounces, you can pick your desired level of “pulp”. Whether you are relaxing by the pool or running on the beach, staying hydrated in the summer is essential for people with diabetes. Pick summer drinks that suit your taste buds as well as your health goals. Our top picks are always water, or water or tea flavored with natural fruit juice! A quick look at the nutrition label is always a good way to know if your bottled water or juice fits into your diabetes meal plan.